Say hello to my new friend who just came in. This is actually the first bracelet that I've ever bought. Lovely bracelet you have there, simple yet a touch of class. goes well with any outfit! No time to start bracelet shopping like the present! 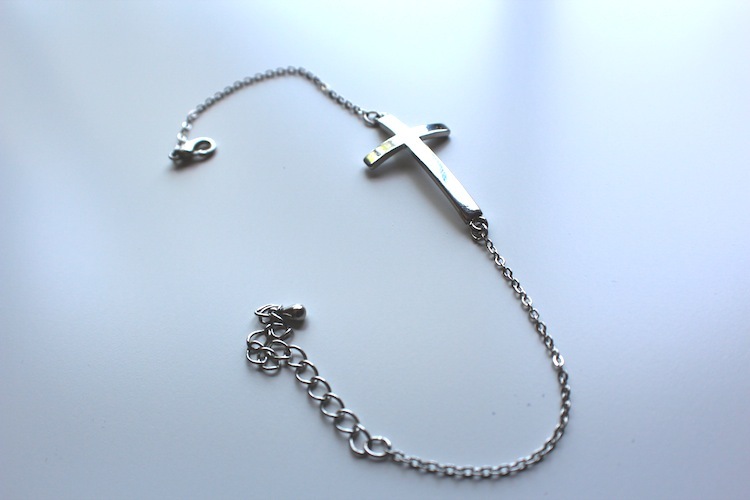 Love all the crucifix accessories - so on trend right now! Love your blog - layout, images, words, everything..
Love it!! I hope you'll visit my blog! Nice cute bracelet. We like it! Love it! Great first bracelet purchase. Fresh and fierce hun! I can see this stacked with a fistful of delicate rings...great find! Thanks for your comment, my jacket is also from Forever 21.